Being Frank: To Be Fair . . .
To Be Fair . . . In last week’s blog - Lancing the Boil - I lambasted Lance Armstrong for his lame apology during an interview with Oprah Winfrey. While I still stand behind my original feelings - he never really apologized, and if he did, it was only to himself for getting caught - I have thought long and hard about the impact Lance has had on this planet. To be fair . . . it isn’t all bad. Lance is another athlete continuing the storyline that the only way to win is to cheat. Enough sports superstars in the last decade have fallen from grace through doping scandals that it comes across as old hat now. I don’t think anyone should find themselves shocked that athletes cheat. We should only feel shock when it no longer comes across as wrong. In 1997, before Lance Armstrong’s worldwide fame blossomed in the French Pyrenees, he fought a more dangerous battle than any before or after - testicular cancer. His fight, the lessons he learned as he slugged it out with malignant cells, and the resulting Livestrong foundation, will sustain his positive legacy long after his unfair cycling victories fade from society’s collective mind. The Livestrong Foundation, who recently cut all ties to the founder and former chairman, no longer contributes to cancer research as it once did (its funding was a drop in the bucket compared to cancer behemoths like American Cancer Society and the National Cancer Institute). Instead, Livestrong focuses on changing the global perspective on cancer. 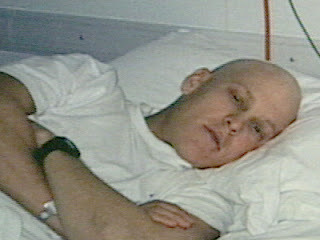 Due to Lance’s efforts through the Livestrong organization, cancer patients no longer endure the disease, they fight it. Instead of cancer victims, cancer survivors emerge from their battle. Additionally, Livestrong focuses on guiding anyone fighting the disease to organizations that can offer preparation and assistance with the difficulties associated with life after cancer. They offer direction on sperm banking and egg freezing to help with fertility, provide literature on clinical trials, distribute free cancer guidebooks, and connect people with organizations designed to help navigate the maze of healthcare finance. Livestrong has established an exercise program through the YMCA tailored specifically for cancer survivors. Through Scholastic magazine, Livestrong at School teaches lessons to young students about cancer, ensuring from a young age that cancer no longer appears as a sure death sentence. In 2009 Livestrong hosted the Global Cancer Summit in Dublin, Ireland aimed at removing false stigma associated with cancer in less developed portions of the world. More locally, in 2007, Lance spearheaded the effort to pass Texas Proposition 15, creating the Cancer Prevention and Research Institute of Texas, funded with up to $3 billion in public money to research the causes of and cures of cancer. Prop 15 would not have passed without the efforts of Lance Armstrong. The most important effort, though is how Lance Armstrong changed the spirit of how the patient should approach cancer treatment. Through Livestrong, he offered a different mindset, one of active healing rather than passive suffering; unlike cancer, this new mindset is contagious. Would Livestrong have yielded such great results without Lance’s cycling success? No. But to me, that is besides to point; I have always been a believer that the universe uses everything for an eventual positive result, no matter how negative. Ultimately, in the final analysis, Lance’s cheating is our gain, though it make take time for us to realize it.